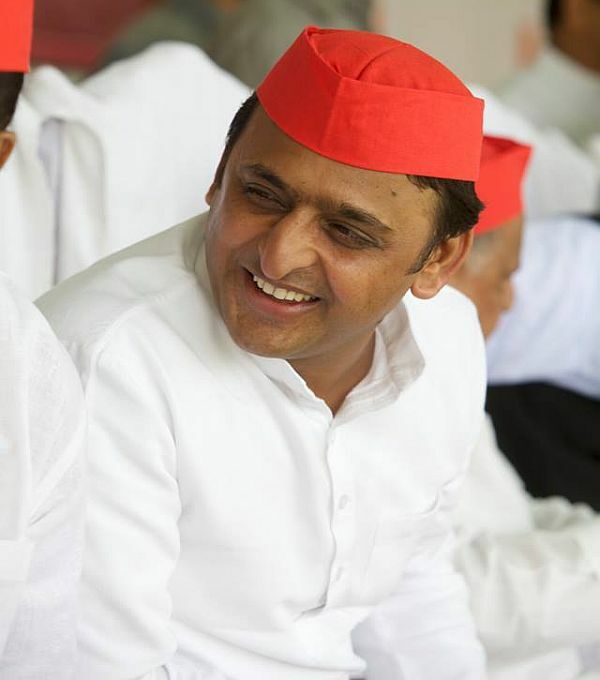 Uttar Pradesh Chief Minister Akhilesh Yadav appears to be fast turning into another Mayawati, the Bahujan Samaj Party chief minister who was outvoted by the Samajwadi Party in March 2012. This was amply demonstrated in an abrupt move by the chief minister to get two TV channels -- Times Now and India TV -- off air across the state. 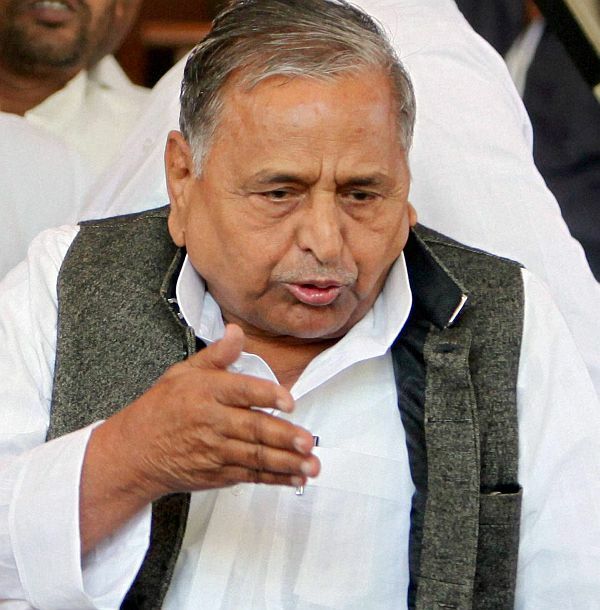 Both channels had severely angered Akhilesh and his father Mulayam Singh Yadav by condemning the UP government for its extravagance in the Yadav clan’s native village of Saifai in Etawah as well as for allowing its eight ministers and nine legislators to go on a 20-day foreign jaunt even as Muzaffarnagar riot victims were dying in poorly-run relief camps. While most TV channels were quite critical of the government’s “insensitivity”, Akhilesh got cracking against these two channels in particular and has used all his clout to make a frontal attack on the media’s freedom of expression. Even as no formal ban order was issued, cable operators across the state were warned to take Times Now and India TV off air, or else face persecution. “We have been intimidated by authorities to black out the two channels; we have no choice but to follow the directives,” said a top official of a leading cable operator who did not wish to be named. Significantly, the unofficial diktat came exactly 24 hours after Akhilesh displayed his anger against the channels for focusing on the government’s splurge on the Saifai festival -- loaded with Bollywood biggies. He not only came out blatantly in defence of the foreign jaunt by a team of 17 of his ministers and MLAs, but also left no stone unturned to ridicule and humiliate some senior journalists, particularly those belonging to these two channels. 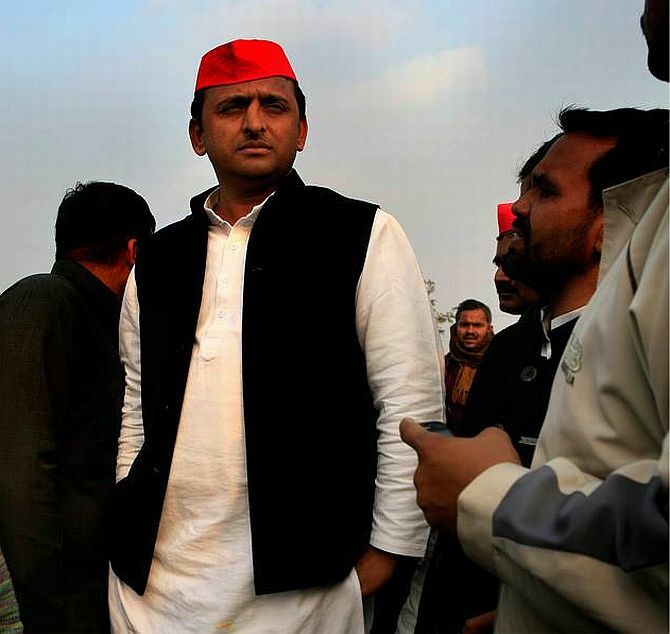 The manifestation of Akhilesh’s anger was preceded by several other acts which are reminiscent of his predecessor and Samajwadi Party’s bete noire Mayawati. Inaccessibility -- that had Mayawati’s bane, has now become virtue for the father and son. The father is still available, at least to his partymen who flock at the Samajwadi Party state headquarters which he frequents. But the son is available only to a select few who are privileged enough to penetrate the high security of the chief minister’s official residence, where Akhilesh spends most of his time. Like Mayawati, he too finds little time for office and prefers the confines of 5 Kalidass Marg, to which only a chosen few have access. Much like the BSP “empress”, this Samajwadi ‘yuvraj’ is also allegedly surrounded by sycophants, who rule over the CM residence. And after 7.30 pm when he usually retires for the day, Akhilesh is either attending social functions or enjoying a game of badminton with friends and family at the father’s official residence (allotted as former CM) -- the home of the joint Yadav clan. Significantly, the change he had sought to usher in by throwing open the doors of the 5 Kalidass Marg residence to the common man, now stands virtually discontinued. The restoration of ‘Janata Durbar’ -- a traditional practice at the CM residence for decades -- that was rudely discontinued by Mayawati was a welcome move. But what began with a frequency of 5 times a week, was gradually reduced to four times, twice and once a week. As of now, it is only supposed to be held on one Wednesday of every month. But the “busy” chief minister invariably finds one excuse or the other for cancelling the pre-scheduled ‘janata durbar’, that has not been held for some months now. Apparently, his priorities have got mixed up after he carried out the initial task of fulfilling his election promise of giving away all the doles -- unemployment allowance, laptops, scholarships to girls and the like. A coterie of sycophant bureaucrats and partymen convinced the young man that enough was done on his part and now was the time for him to relax and enjoy. Visibly, the father too became absolutely complacent once his inner coterie assured him that the party’s key support base of Yadavs and Muslims was in place and that would insure fulfilment of Mulayam’s long-cherished dream of becoming the country’s prime minister. He was led to believe that in a non-Congress, non-BJP post-2014 Lok Sabha scenario, en bloc support of the two communities could really do the wonder of getting SP a high tally of 40-50 out of UP’s kitty of 80 Lok Sabha seats. Sure enough, such a figure could make anyone a string contender in the Third Front. The honeymoon followed by a short-lived phase of good governance, turned into an era of apathy, neglect and reckless extravagance -- somewhat reminiscent of Mayawati -- amply reflected in the recent jamboree at the family’s native village Saifai in Etawah district. Unmindful of the sufferings of Muzaffarnagar riot victims, who were languishing in the unkempt relief camps where pathetic conditions had snuffed life out of as many as 34 children, Mulayam and Akhilesh decided to go ahead with their annual Saifai festival. The 15-day cultural extravaganza, held for the past 16 years to in memory of the deceased son of Mulayam’s elder brother was held full blast. The Yadav clan could not even consider postponement of the event in view of the on-going plight of the Muzaffarnagar victims. While Akhilesh did pay a customary visit to the riot hit town, Mulayam did not even care to look towards Muzaffarnagar. The fact that bulk of the victims were Muslims, who remained at the receiving end ever since communal clashes broke out in the region ion August 27 last, failed to awaken the SP supremo from his slumber. Apparently, he was confident that come what may, the aura that he had built over the years as a “messiah’ of Muslims would once again do the magic ,propelling members of the minority community to eventually rally behind him like a pied piper. However, he and his father both have drawn enough flak on account of their poor handling of the riots, which not only left Muslims at the receiving end but also made them languish in the so-called relief camps, from where many were unceremoniously uprooted. 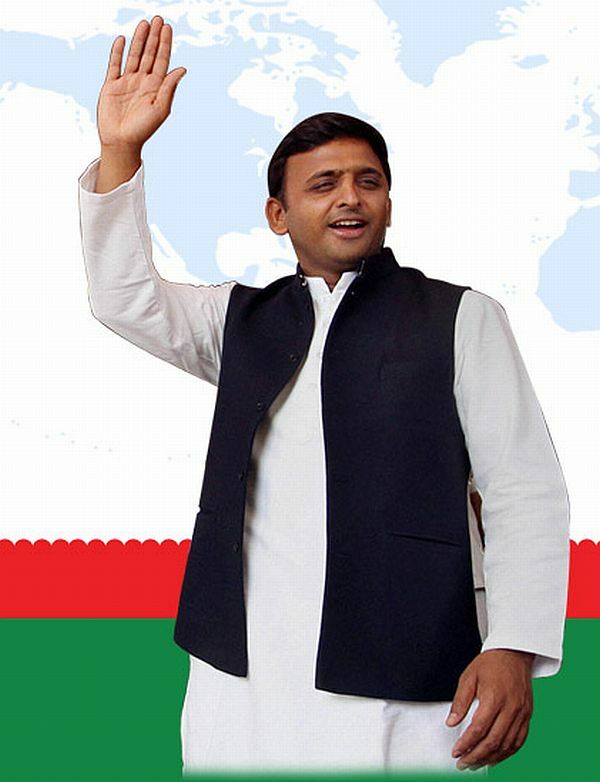 Akhilesh ko 'gussa' kyon aata hai?